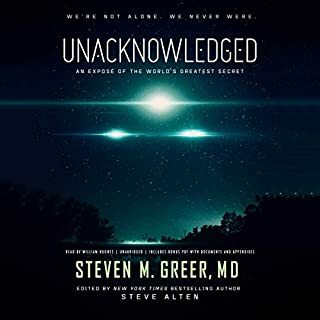 The explosive, dark secrets behind America's post-WWII science programs from the author of the New York Times best seller Area 51. In the chaos following WWII, some of the greatest spoils of Germany's resources were the Third Reich's scientific minds. 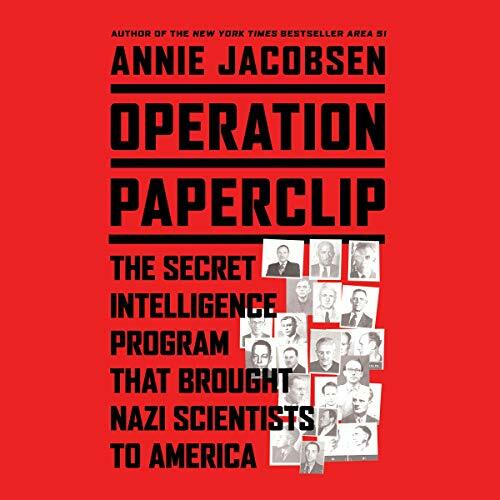 The U.S. government secretly decided that the value of these former Nazis' knowledge outweighed their crimes and began a covert operation code-named Paperclip to allow them to work in the U.S. without the public's full knowledge. Drawing on exclusive interviews with dozens of Paperclip family members, colleagues, and interrogators, and with access to German archival documents (including papers made available to her by direct descendants of the Third Reich's ranking members), files obtained through the Freedom of Information Act, and lost dossiers discovered at the National Archives and Harvard University, Annie Jacobsen follows more than a dozen German scientists through their postwar lives and into one of the most complex, nefarious, and jealously guarded government secrets of the 20th century. One of the best books explaining the race for knowledge in the aftermath of WW2. In 1945, Operation Overcast (renamed Operation Paperclip for the paperclips attached to the dossiers of the scientist) began. More than 1600 German scientist were secretly recruited to work for the United States. There was a race between the United States and the U.S.S. R. to obtain these scientists. At the time Albert Einstein, Eleanor Roosevelt and Rabbi Steven Wise publically opposed the program. In 1998 President Clinton signed the Nazi War Crimes disclosure Act, which pushed through the declassification of American’s intelligence records, including F.B. I., Army Intelligence and C.I.A. files of German agents, scientists and war criminals. 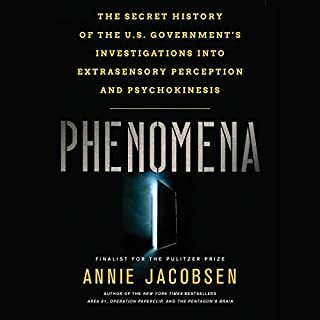 Jacobsen accessed these documents, along with her research in various special collections, interviews with former intelligence personnel and relatives of the scientists. This makes Jacobsen’s account the most in-depth to date. The author tracked 21 of these Nazi scientists. Eight of her subjects worked directly with the upper echelon of the Nazi government. Some of these are Werner Von Braun, Hubertus Strughold, Walter Dornberger, and Arthur Rudolph, Fritz Hoffman. The author described in detail the hunt for the Nazi secret chemical and biological warfare sites and the hunt for the scientist. Jacobsen focuses mostly on biologists, chemists and physicians. She said the rocket scientist had already been widely written about. The author painstakingly covers the various scientist works for the Nazis; I wish she would have equally covered their work in American. We know the benefit of the work by the rocket scientist in developing the Saturn rocket. German Chemist Fritz Hoffman was assigned by the U.S. to research toxic agents for military use. He is credited with the development of Agent Orange. It was used to defoliate trees in Vietnam. Hoffman died in 1967. Other German scientist worked in the area of aeronautical medicine, research into diabetes, neurological disease and also developing equipment. I believe one of them developed the ear thermometer. The book is an achievement of investigative reporting and historical writing. I would have preferred Jacobsen provide us with enough information about the works preformed in America to help us answer the question ----was our deal with the devil worth it? The author narrated the book. Would you consider the audio edition of Operation Paperclip to be better than the print version? I want to keep this short... This book is an amazing compendium of a subject that has never before been truly explored. Annie's research is amazing: aka you will be shocked and amazed and what you learn! The frankness of the narrative. What does Annie Jacobsen bring to the story that you wouldn’t experience if you just read the book? Her narration really emphasizes the book's main points! While I can tell the author was aghast at what she uncovered, this is an amazing tale of reaping the scientific experience of one foe to ready America for a next, larger foe. 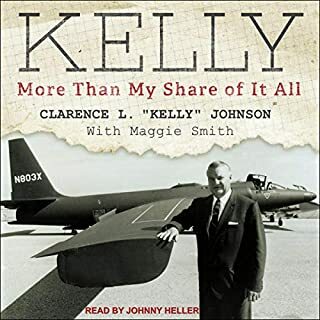 While many knew of Wernher von Braun's route to America & NASA, the tale of so many other key innovators was unreported since the 1960's. Well worth the listen! 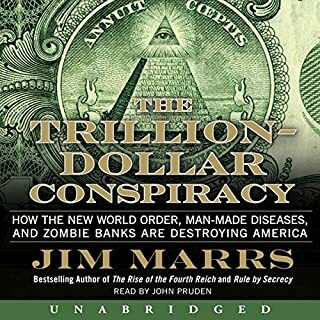 Some information presented in this book have more disturbing implications than others, and some actually outline the arguably positive outcomes of this arrangement. It, however, bridges the gap after the fall of the Nazis and the transformation of technological and military advancements in the West. But it's definitely not read by the author as the cover or the mobile app claims, and I had to look past the reader's ghastly and cringe-inducing mispronunciations of many of the German names. "Warner" Von Braun? Hermann "Goaring"? Admiral "Doonitz"? Joseph "Gubbles"? Has she seriously never heard these names pronounced before? Good grief. Despite that I highly recommend this book to anyone interested in WWII history. Jacobsen has done a huge service to fans of history by illuminating this dark and hidden chapter. In a veritable deal with the devil, the US military tracked down the Third Reich's top scientific minds knowing that if they didn't the Russians surely would. And they were right. 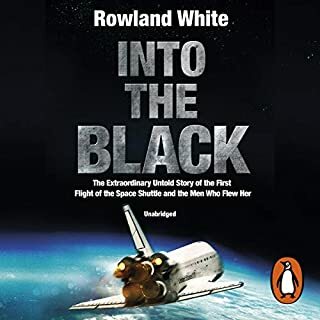 It will change the way you think about America's space program and scientific progress to find out how many of these former Nazis and war criminals were brought to the US to fill influential positions. And the terrifying thing is that it may have been necessary after all. What made the experience of listening to Operation Paperclip the most enjoyable? Outstanding research packed with newly declassified material. I thought I understood Operation Paperclip very well. I did not know it at all. But I do now. A very interesting documentation of Operation Paperclip and what lies hidden behind the American Scientist Programs in post war America. The systematic cover-up of facts that dozens if not hundreds of Americans took part in , to bring NAZI WAR CRIMINALS to America to further our Space and Chemical Weapons Programs . 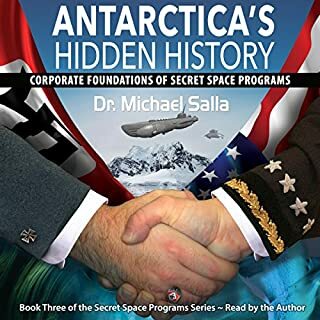 How some in the Military whitewashed the Nazi pasts of dozens of Doctors and Scientists allowing them to live the "American Dream", become respected members of the space pioneer elite and escape punishment for their atrocities during WW2. The narration (by the author)was not as good as a professional but a fascinating story. 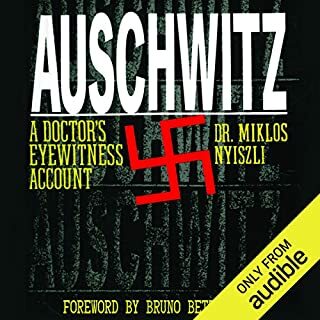 This is an important book, full of interesting information which examines some of the worst practices of the Nazi regime, and sheds disconcerting light on the 'pragmatism' (should we say 'double standards') which can apply when our own governments have an agenda to pursue or an ideology to install at any cost. Jacobsen obviously undertook a great deal of research in order to tell this story in such rich and interesting detail. As for the narration, her voice is pleasant enough and I would not be too bothered by her somewhat flat presentation, but some or her pronunciations had me on edge dreading the next time I heard them. Egregious examples include Werner, Garmisch-Partenkirchen, Harz, and Göring. I am a 'words person' and may place more emphasis than most on this point, but it would prevent my buying another audiobook narrated by Jacobsen which is a pity because this book suggests that her work is well worth reading/listening to. 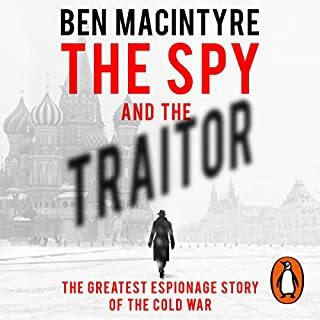 this was a great book following where some of the top scientist and engineers of the Nazi scientist and engineers went after the war; being absorbed into the USA and the USSR sometimes to continue their work. I would, but with a few caveats. 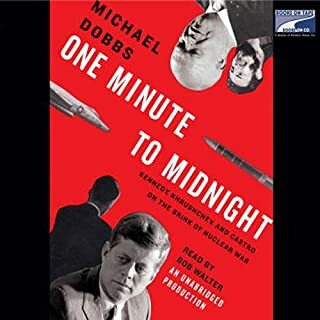 The major reason to recommend this audiobook is that it details the involvement of major German corporations in human rights abuses prior to and throughout WW2. This is important as far too few people are aware of this dark history. I particularly enjoyed learning more about the history of the drug Thalidomide. It also gives a biography of prominent Nazi scientists who were given clemency to accelerate technological progress in the USA. The caveats are that whilst the narrator has a very clear voice, it lacks emotion and comes across as rather robotic. An excellent narrator can bring even turgid text to life, this narrator made listening more of a chore. My second caveat is that the evaluation of Operation Paperclip is rather facile as the author simply retreated to the moral high ground. What other book might you compare Operation Paperclip to, and why? 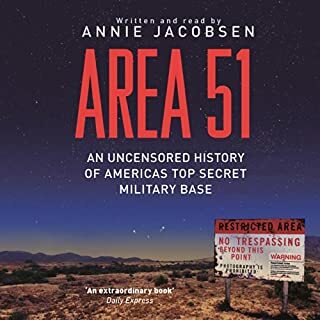 Her book on Area 51. What three words best describe Annie Jacobsen’s voice? Great book, well written, though long-winded at times. Biggest down side of book is the pronunciation of personal names - they are blatantly incorrect. Annie would probably be better to use another narrator (suggestion). 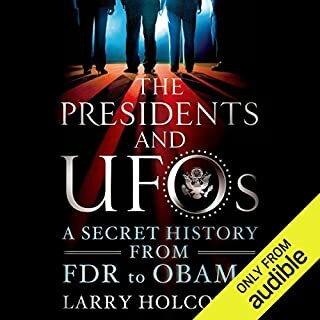 Detail is very much evident in this book, and exposes much of the "vile and evil activities" of many of the engineers and scientists committed prior to return to USA, and their crimes overlooked for the sake of technological gain. It questions the morality of the leaders of the time, and what could have been gained by way of illegal blood letting". Annie; I admire your writing in this book, and the "no secret left untold" approach must be commended. As a story - 100%. 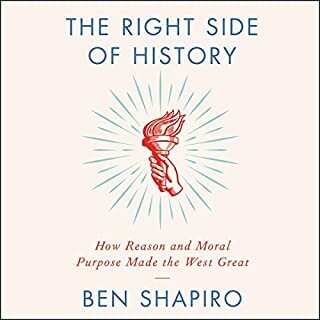 A highly recommended listen. This seems a well-researched and in many ways necessary history. Not only does it tell us who in the Nazi scientific and technical establishment was recruited to assist the US military, but why their crimes were so egregious. 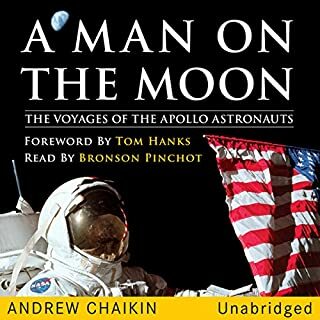 The problem with the audiobook is the narration. I do not think the author was the best person to undertake this task. Firstly, there are the numerous mispronunciations of German and European names. This seems odd since the author was surely exposed to the correct pronunciations during her research. On the other hand, audiobooks suffer from this problem frequently. There is also the very strange manner of speaking. The best analogy I can make is to some YouTube videos. Some of these are narrated by computer-generated voices. The delivery is thus strangely stilted with the emphasis being place on the wrong words in a sentence, or on the wrong parts of words. The narration of this book frequently reminds me very much of that. Finally, there is the strange and disturbing pronunciation of some English words. I was more than taken aback to hear &quot;annals of war&quot; pronounced &quot;anals of war&quot; near the start of the book (I kid you not). So, a interesting book, but would be better if narrated by a professional voice artist I think. 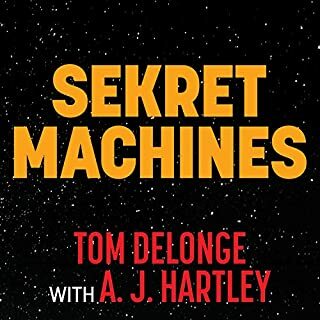 It's a long tough listen but it was excellently written and I can't imagine they left anything out with how much they covered. Excellent book. Have to wonder how the writer was able to get her hands on all that embarrassing information on the world's prominent democracy's actions. 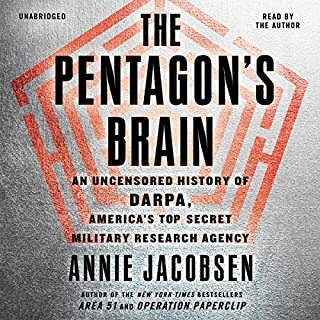 One answer could be because the whole book is a justification for Operation Paperclip - "if we didn't do it, those menacing Soviets would have" - seems to be the conclusion to every chapter. Even if superficial evidence for this is presented in the book (such as quoting an official report), it is never corroborated with facts. 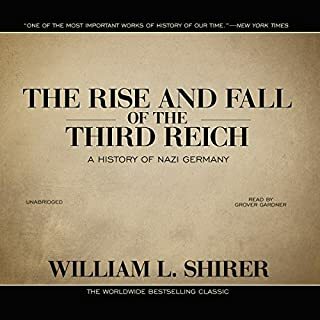 Books like "Wall Street and the Rise of Hitler" give a better understanding of why the USA wanted all these specialists; because it had paid for them with investments in the Third Reich's businesses. Apart from this, the story is reasonably well written though is pretty unimaginative - the narration makes this worse. Amateurish meanders into side stories are told in a different style, which becomes jarring to the overall story. In terms of the narration, the writer herself was unable to pronounce some of the German names. Which is poor for someone who was meant to be researching so much into this. Apart from that, her voice is dull and monotone. 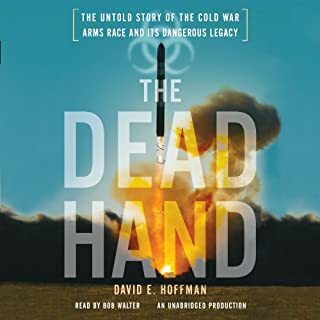 A very well-researched book with fascinating insights that demolish the edifice of such Cold War heroes as Werner von Braun. 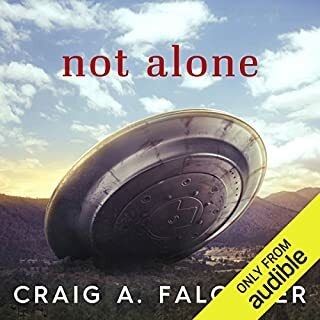 My only criticism is that the narration has not been great - quite sopific at times and it spoiled what would otherwise have been a five-star review. Thanks Annie for a great book. I loved it. 25 hours flew by. Area 51 is next on my list. Fascinating, how much do we know. Great book. If I may have one comment - when using foreign language terms it would be advisable to have some guidance on pronounciation. The German used was often barely recognisable. But all in all great book.